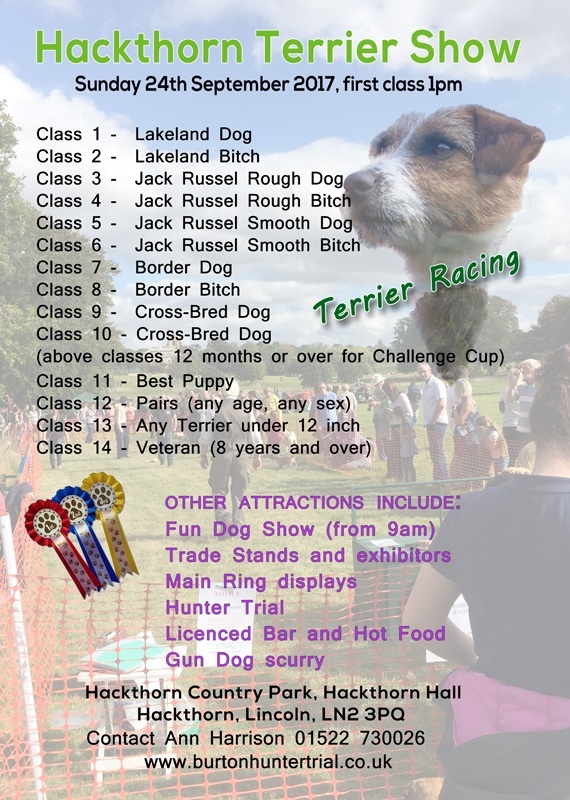 The Working Terrier Show is located in a separate ring next to the terrier racing. There will be 14 classes including veteran, puppy and pairs. The first 12 classes are eligible for the best in show challenge cup. Sunday 24th September 2017, first class 1pm prompt.